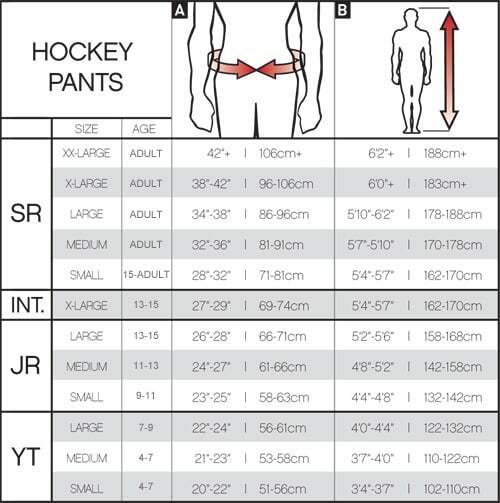 CCM Tacks 3092 Hockey Pants - Junior is rated 5.0 out of 5 by 5. The CCM Tacks 3092 Pants are a solid entry-level pant that offers decent protection and an anatomical fit. These pants are constructed with Pro 400D nylon (210D Nylon in Junior) with side panel reinforcement which reduces the weight of the pant while maintaining durability. The Tacks 3092 pants offer molded PE foam in both the kidney and thigh areas to maximize protection. The molded spine protector on the back offers good impact protection on the lower spine. The hip area has a JDP cap which helps direct impact away from the hip joint. Whether you are a beginner or looking for some rec league pants, the Tacks 3092 pants offer good protection with a price tag that doesn't break the bank. Thigh Padding: Molded PE Type of protection covering the thigh. Hip Padding: JDP cap Type of protection covering the hips. Lower Back Padding: Molded spine protector Type of protection covering the lower back. Waist: External belt Type of waistband design. Rated 5 out of 5 by Mugz44 from Solid Pant Nice pant. Zippers on inner thigh for easy sock access. Solid padding all around. Lightweight. Would buy again. Rated 5 out of 5 by Big B from Awesome pants A++++++++++++++++ awesome pants!!!!!!!!!!!!!!!!!! !